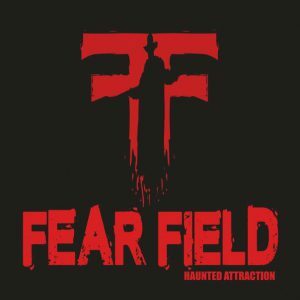 Fear Field is a Haunted Attraction located in St Clairsville, OH. Team Scary Potter and the Hauntwarts Express reviewed this Haunted Attraction on October 21, 2018. The Southeastern Ohio Haunt-scene has a new player in town. Fear Field, located in the Saint Scaresville area, has emerged with only one goal in mind : to become the scariest haunted attraction around. Impeccably-detailed set design and gaudy animatronic high-techery is simply not their style. Instead, they focus on (VERY) direct, intense actor-customer relationships… of the terrifying kind. If relishing in the colorful aesthetics of haunted artistry is your preference, Fear Field may not be the best haunt for you. However, if like most haunt-goers , your intention when visiting a haunted house is to be properly frightened, you have come to the correct attraction. Come down to St. Clairsville, Ohio this Halloween season to experience the Field for yourself… and prepare to leave screaming. Note : Fear Field’s haunted trail contains an intermediary segment between its initial haunted shack and the main fear-centric portion of the trail that stretches for several minutes without any major “action” due to logistical concerns. Because of this, I have factored only the shack and the latter half of the trail as “the haunt” for this review. The non-scary portion of the trail is considered “entertainment outside the main attraction.” When visiting Fear Field, do not be alarmed when several minutes pass near the beginning without scares… they’re coming. There’s no disguising it : Fear Field has a very abbreviated troupe. On the path, there were only seven or eight actors present. With haunted attraction casts potentially stretching into triple digits and beyond these days, this modest supply of performers certainly stands out. Interestingly, though, we didn’t really feel undersold. Obviously the brevity of the trail “helped” the situation. The attraction was pretty condensed, it’s true. More importantly, though, the trail’s design was constructed in a way to both maximize the amount of haunt distance covered but also permitted each actor to be present in multiple areas. Those eight actors accounted for two or three different positions each (and REAL reappearances, not just following us and refusing to leave), so that an untrained eye would probably estimate at least 15 different human beings to be operating at Fear Field. While that is still not a huge number, it was largely adequate for the type of attraction that this is. Further, Fear Field employed (necessarily, to be fair) a technique that proved quite effective : they had no filler actors. We’ve all seen them – they’re the boo’ers, the quick-startlers, the glaring silhouettes – who occupy the empty space between significant interactions, quickly forgotten, sometimes effective. Almost every big haunt has them because eventually an attraction runs out of roles for their 158TH actor so they’re primed to stand in a dark corner and stomp their foot forward when an actor goes by. They increase the body-count but usually don’t accomplish much of substance if we’re being honest. Well, when you only have eight actors, that’s not a problem. Every encounter that we had on the trail was meaningful, prolonged, and interactive, and if memory serves, none of them were particularly weak. Actor dialogue was mildly varied : we were notified of different horrific ends we’d soon be meeting (including several f-bombs – probably don’t bring your 6 year olds), and they were effective. I really don’t have any complaints about the actor quality. They each had the kind of passion that we like to see from actors – they enjoyed what they were doing, were into their roles, and didn’t break character. If you want to call me an “m-f’er” to get that point across, by all means continue, as long as you’re passionate about it and dish it out to my whole squad. Fear Field’s fellas did just that. On that note, and this is neither here nor there, I think this was the first attraction I’ve been to with an all-male cast. Hmm. I have no point to make about that – just an interesting bit of Scary Potter trivia. We really enjoy our interactions with the Grass Monster (who seemed to be everywhere, honestly – can that particular breed of beastie teleport at will?) Also the single, semi-benevolent cast member, the gentleman who guided us to the trail did put forth an exceptionally-entertaining characterization that was good as well. As I said, though, the scarers within the main part of the trail all performed with vigorous enthusiasm. Fear Field didn’t offer a broad selection of wardrobe options for its scarers. The order of the day was mostly variations from the “Crazed Hillbilly” family though, in fairness, none of the characters stood out as being woefully under-equipped. Now, this isn’t one of the more involved monikers when it comes to costuming, but still, everyone looked just fine – dirty and/or bloody attire, a variety of masks, and plenty of chainsaws. We really didn’t have any complaints, considering the types of characters that we encountered. Obviously the Grass Monster was of a different ilk, and definitely stood out. Appropriately, his costume permitted him the interesting option of dissolving directly into the earth, which is generally a handy-trait for haunt monsters to have. The most makeup in use was present on the visage of our initial tour guide. He sported a sort of “country-dapper” look… and then said he was going to eat us. Still, the clothes make the man. Eat away. Fear Field touches. That’s an important disclaimer to include as it may not be immediately obvious from their promotional materials. Honestly, though, nothing more extreme than Lenny-level pettings were experienced (Steinbeck reference? Absolutely). It was nowhere near the unpleasantness of so-called “Extreme” attractions. What IS extreme about Fear Field is the drive to it. Fortunately GPS worked perfectly to get us to their location, because it is in the absolute middle of nowhere. Half of our team were motion-sick from the switchbacks that we experienced reaching the attraction. Our arrival at the grounds was heralded by a massive light. It illuminated the parking lot (which is a grass field) deftly, and made us immediately certain that we were in the correct place. There were several signs directing us toward the ticket booth, but we were actually greeted by a gentleman as soon as we exited our cars (without him knowing that we were the review team). He explained the lay-of-the-land and directed us to the ticket booth as well. Speaking of the ticket booth, it doubled as a concession stand, selling a variety of haunted house cuisine. The hot cider and chocolate were both excellent, and the staff were incredibly friendly. Their website has a few inconsistencies, but I think the logical chain of events was probably that they decided to be open on Sundays after constructing it. The calendar on the main page is correct, but a clear message stating “Open every Friday and Saturday in October” seems a bit out-of-date (granted, YES they are open those days, but also Sundays). More importantly, though “The ticket booth will stay open till 11 PM” is also clearly contradicted by the calendar’s (and our experience’s) confirmation of a 9 PM closing on Sundays. It’s a minor foible, but could result in some confusion for customers. Also, unless I’m mistaken, the general admission fee is not listed on the website ($10). The trail was a bit bumpy (a couple small, unexpected dips, etc) at times in the sections between scares and a few stray branches caught us off guard. The haunted portion of the trail did not feel unsafe, though. We briefly spoke with the owner before entering the attraction and sought him out again when we had visited. Surrounded by three actors who had followed us, chainsaws a-buzz, all the way to our car, we finally asked them “Could one of you possibly grab Paul (the owner)?” One of the liveliest actors pulled off his mask and there he was. Again : passion and dedication. Fear Field is located at a baseball park. This fact became immediately clear when we pulled in – it’s pretty tough to hide a giant, fenced-in baseball diamond. The attraction essentially unravels in the areas surrounding it. It wasn’t the greatest location for a haunted trail, but when we were actually ON the haunted parts of the trail, we forgot about it. The overall location was about as isolated as a haunted attraction can get, though, so the two sort of counter-balanced each other. If one were able to mentally scrub the baseball field, the grounds were legitimately pretty creepy. The soundtrack that overlayed the parking area was a sort of droning audio recording. It did a passable job of contributing some creepy atmosphere to the ambiance, though it did get a bit tiresome before long… especially because it also became the soundtrack to the haunted trail. Let’s not beat around the bush here : there were not a whole lot of set work or special effects in use. The set design’s most prominent feature was the natural ambiance of the trail itself, which was then overlayed with wooden pallet walls. There were a few scenes interspersed throughout the trail – a small cemetery, a dangling-doll doll room, and a few other scattered designs, but set work was quite minimalist. The first haunted building, a small, stand-alone dark “maze” did an excellent job of completely disorienting 1/4 of our team who somehow took twice as long to get through it as the rest of us. Fear Field didn’t have any traditional animatronics, but did include a few fright-based effects that worked very well, as well as a very intimidating grinder and a multitude of hungry chainsaws. The single audio soundtrack, which functioned as the aural accompaniment for both the parking lot and the haunt was a moderately-effective droning musical track. The decibel-ratcheting side effects of the few effect scares were pretty impressive as well. A bit more intrusive was the parking lot light that managed to infiltrate the haunted parts of the trail. At different points we were able to look to our left and see my car. That definitely wavered our suspension of disbelief a good bit. Some method of further isolating the trail would have been really helpful to avoid that unfortunate reminder of the artificial nature of the experience. Fear Field didn’t seem to follow a single theme. Fear Field has based its entire mantra around one objective : be scary. Excluding the very first actor and the folks in the concession booth, the sole purpose of every other member of the staff, and pretty much every nuance built into the trail, had that singular intention. Fear Field was actually pretty successful in achieving that aim. To their credit, the scarer’s zeal (as mentioned in Cast) translated into some effective, prolonged scares. The Fear Field fright method was pretty simple : combine intense, straight-forward, prolonged actor scares (of a profundity that transcends weak boo-scares) with a few unexpected environmental wallops. Though there wasn’t a great deal of variety, Fear Field frighteners were certainly capable at achieving sustained scares, and they administered their macabre medicine across our entire party. The trail culminated in a VERY sustained haunter bum-rush. From our initial exposure during the final scene of the trail until we were literally turning the key in our driver-side car lock, our pursuers hovered, unrelenting and unwavering in their characterized menace. That’s some pretty solid dedication. The main portion of the trail (the part with most of the scares) took us a little over 5 minutes to pass through. The initial dark-maze house added another minute or two (one of our team members was somehow woefully lost in the small building). As I am considering these two portions to be the “haunt-proper” that makes the full, haunted experience somewhere just south of 7 minutes. A general admission ticket for the attraction is $10, providing 0.7 minutes of haunt time per dollar spent. We received a heavy dose of Grass-monster scares leading up to the trail, and a few other creeps in between the house and the main haunted section of the trail. This did a pretty good job of keeping us on our toes, though the unique downtime between the first part of the scaring and the condensed “actual haunted trail” did feel over-long and a bit boring. We hope that Fear Field is able to re-engineer this peculiar design decision next season. I will freely admit that this has been a difficult attraction to score and review. Though it is quite short by professional-haunt standards, it had a healthy dose of genuine, heartfelt haunt-vigor packed into its limited dimensions. This is the kind of attraction that we hope to see thrive in the future. The actors and staff have a lot of heart and passion for what they’ve put together and it clearly shows through. With a little more polish, some extra bodies, and a bit more space, we really believe that Fear Field could become a serious contender in future seasons. The below-average price tag and genuine intensity of the actors make Fear Field a good option for anyone seeking some no-frills, straight-to-the-point scares this season. It wasn’t worth the drive. I expected more and it was more of a back yard thing for a quick buck. …show more The detail wasn’t there and actors would break character. I wish I had not gone, so disappointed. On Saturday October 13th 2018 myself and my sister embarked on our journey to St Clairsville to …show more visit the new FEAR FIELD! We got on the website clicked the address and our journey began. The first address took us to a dark neighborhood alley..we figured we must’ve made a mistake so we plugged the address into the GPS again. We were led down a dark back road which ended suddenly due to a mysterious gravel pile…at this point we were a little freaked out but we weren’t giving up on finding this place. So we turn around and head back down the dirt road..where, no joke.. A BLACK CAT runs right across the road infront of us. We’re literally dying laughing about how shady this night has been so far but we’re loving it.. so we stop at a gas station in the middle of town and ask where this haunted house is located..the attendant (creepy as heck) had no idea what we were talking about and instructed us that she was POSITIVE there is no haunted house in this area.. she stated the closest one was about 30 minutes away. Now this is where it gets GOOD. We walk to the car and decide to give “FEAR FIELD” a call..which goes like this..
One of the guys start to approach our car and so we grabbed a screwdriver incase we were about to be murdered..I crack my window and he goes “so you here for the haunted house?” Yep we sure are “okay uh hold tight..some of our actors over slept so we will be starting here shortly” ..OVERSLEPT?? THIS PLACE OPENS AT 7pm IT WAS 8:30 AND WE WERE THE ONLY PEOPLE HERE!!!! Despite all of the OBVIOUS RED FLAGS that we were about to walk into some woods with 3 random guys to “scare us” we proceeded to buy our tickets because the night so far was pure gold and all the creepy stuff happening was just making this sketchy haunted forest trail even more attractive to us..a few more people showed up and we entered the “woods trail” the actual haunt was pretty cool..we loved that it was outside, but they only had one actor thru the entire thing that night? Not sure what was up with that but..WERE GOING BACK NEXT YEAR! Lol we had so much fun just with the whole night and the kid who talked to us when we first arrived was super cool and you could tell they were just starting and trying to make a cool place, they just had a rough start. The only suggestion I’d make is correcting the address on the website so more people don’t get sent down that dirt road and actually get murdered but besides that 10/10!